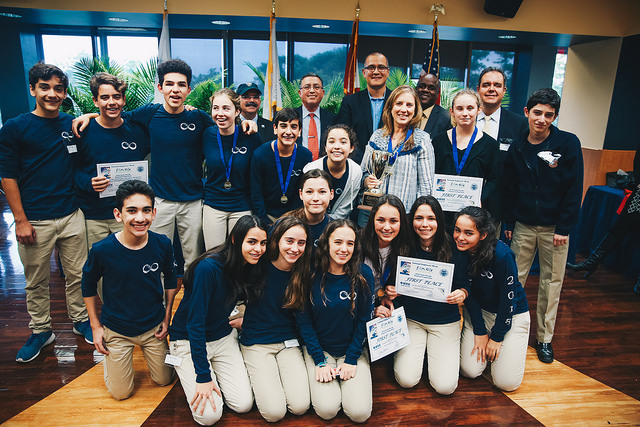 Florida regional Future City™ Competition is a National Engineers Week educational program for sixth, seventh and eighth-grade students to help interest in math, science and engineering through hands-on experience. The 2018-2019 theme is Powering Our Future! Teams designed a resilient power grid for their future city that can withstand and quickly recover from the impacts of a natural disaster. For event details, visit FIU Calendar. For more information pertaining to the South Florida Future City Competition, visit the South Florida Future City Competition website. To learn more about the national Future City Competition, visit the Future City Competition website.